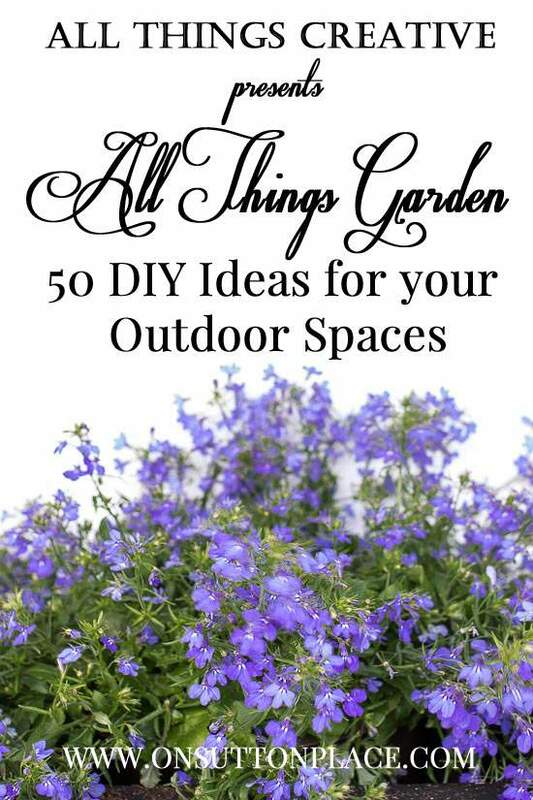 I’m delighted to be here today with my All Things Creative group because the theme is one of my favorites…All Things Garden. There is incredible inspiration here along with great ideas. I hope you find something you like and can put to good use. I won’t take any more of your time with my chatter so you can get right to the linky. Have fun! I love all your beautiful creations!! Ann, this is a very timely round-up, I am getting great tips out of it. I am planning a container herb garden for my back patio and will use your tips. I wanted to ask about your experience with pots that don’t have drainage holes. Have you found it a problem? Some of my plants don’t seem to mind that there is no drainage, but I am always nervous to plant new plants in solid containers. Just read your 2011 post on growing clematis. How timely as UPS will be delivering my first one tomorrow. How did you secure yours to the lamp post? Do any critters eat it? (Not sure if deer are a concern in your neck of the woods.) Thanks. Hi Debra! I got two very narrow trellises and put them on opposite sides of the light post. I planted a clematis in front of each trellis. As it grew, it wound itself up the trellis and around the lamp post. You have to have something very sturdy for it to climb. A trellis or a fence work the best. I have never had anything eat it…I have a lot of squirrels and bunnies but so far so good! Good luck…you will love it! Such a pretty graphic, Ann! Pinning! 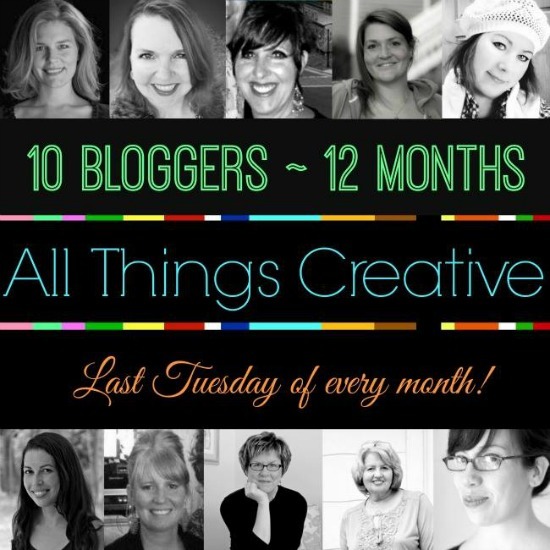 I love all the inspiration here :) What a great bunch of bloggers to work with. Awesome Ann. I am loving this time of year!